Solomon's Castle is on the country roads northwest of Arcadia. It's just about as Florida back roads remote as it gets. You can't miss it, however, because of all the neat little signs that lead the way. It was founded by an authentic character who figured out how to live life his way. 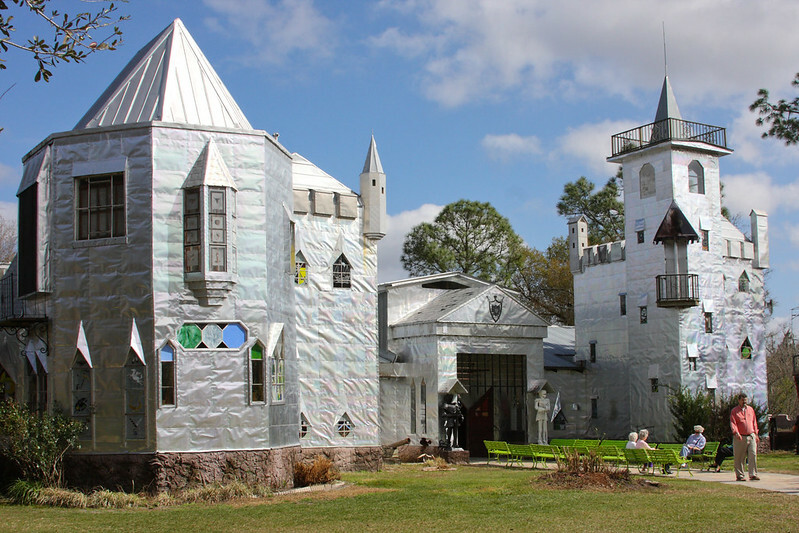 Howard Solomon, who died in 2016, was a well known sculptor who created a gleaming three story castle that pops up out of the Florida wilderness looking like a temple of some lost religion, maybe one that specializes in turning junk into art. Mr. Solomon was once nicknamed "The DaVinci of Debris" for his talent in making beautiful things out of items discarded by modern society. The castle is 12,000 square feet of whimsical abstract genius. It is not only home to Howard's family, but it is also home to his workshop, galleries, exhibition rooms, a bed and breakfast inn and a restaurant. The castle is constantly evolving and changing as you will notice if you visit more than once. And you probably will. The exterior of the castle is sheathed with shiny silver colored metal printing plates salvaged from a newspaper business, and given a church-like look with 90 stained glass windows created by Howard. A turret with a balcony gives the place a medieval look. The interior lives up to the promise of the exterior. Howard originally bought the 40 acres of swamp in 1972 and he and his family lived in a double-wide trailer while building the castle. He started with this workshop and built up and out from there. After seven years, the Solomon family was able to move into their new home. The main floor of Solomon's Castle is where the galleries are. This area has hundreds of sculptures all made out of junk or as Howard called them, "found objects". Some of these objects include discarded nuts and bolts, beer cans, sea shells, oil drums, sheet metal and wood. 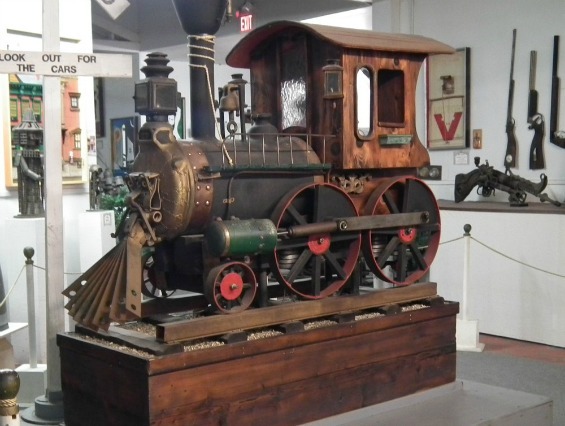 Howard created art from this unlikely collection by using several skills including welding, painting, carpentry, wood turning and a great sense of humor. For example, you will see a motorcycle made out of gears, sprockets and used car parts. It's named "Evil Kornevil". Another great object of art is "Jeb the Bushman". 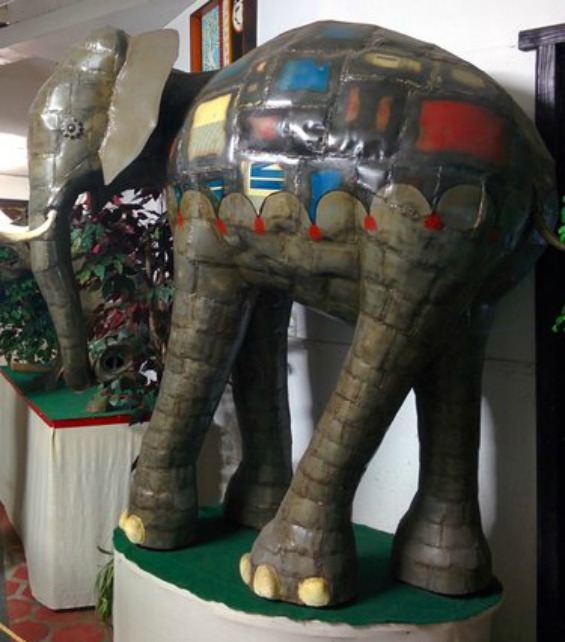 It's an elephant made from several oil drums with the tusks made out of manatee ribs (don't ask) and toenails made out of clam shells. An amazing sight is "The Menagerie", a room with dozens of sculptures made out of 50,000 wire coat hangers. Solomon's Castle has a unique restaurant named Boat In The Moat, a replica of a Spanish galleon that sits in an actual moat. 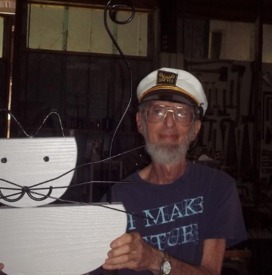 Howard Solomon until his death was still active in the day to day operations of the castle and creating art. The original 40 acres of swampland has now grown to 90 acres. Solomon's Castle is a great place to spend most of a day! If a day isn't enough, the castle also has some bed and breakfast rooms. The castle is open Tuesday through Sunday, 1100 am to 400 pm. It is closed during the hot muggy months of August and September.